Update: Bungie has officially stated that a group of players was banned in error and as of now have been unbanned. They reiterate that the bans handed out were not due to the players using any of the common third-party applications listed in their FAQ regarding the same. Barely a day has gone since the launch of Destiny 2 on the PC and there are already posts on the official forum and sub-Reddit concerning players being banned for ‘no discernible reason’. Bungie themselves have put a new post on their blog stating that they have banned approximately 400 players as of yesterday for, “using tools that pose a threat to the shared ecosystem of the game.”(sic). Out of these bans, four are being rolled back. Earlier, during the PC Open Beta it was widely known that third-party applications that applied featured any form of overlay would cause the game to crash. The dev team has helpfully compiled a list of applications that are supported and which are known to cause issues on their site itself. 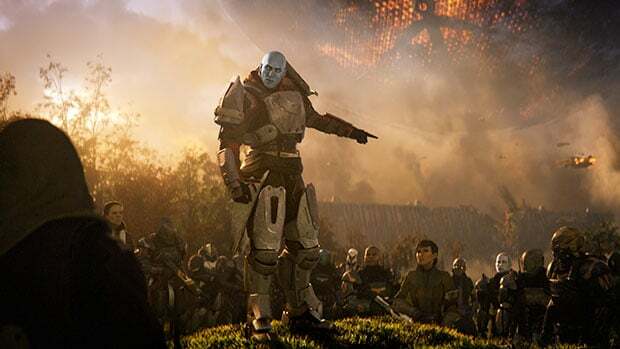 David Shaw, PC Project Lead for Destiny 2 had to reiterate the fact on Twitter that although the game does ‘resist’ any third-party applications trying to insert code into the game client, this cannot be used as a basis for a ban. Due to this high-handed statement and avowed aversion to rolling back any of the bans that have been handed out, it is highly unlikely that Bungie is endearing itself to its PC player base. We will be following the issue closely and shall report any developments as soon as possible. Apart from this issue, the PC edition of Destiny 2 has garnered high praise for being a visually stunning game running with minimum issues on a myriad of PC configurations. You can check out Digital Foundry’s take on the topic below.